ONC DERMOLOGY is a line formulated with natural active ingredients that bases its high efficiency on 100% natural baobab* oil, avocado and mango extracts, jojoba, grape seed and olive oils, and vitamins E and F.
Baobab* is popularly known in Tanzania as “the life and longevity tree”, because there are subjects over 3.000 years old, and has been used by African women for thousands of years to protect the skin against the external aggressions of the hard savannah, repair, nourish and fight the dryness and other skin disorders due to its important anti-inflammatory, antioxidant and immune system strengthening properties. Avocado and mango extracts, these two fruits are more and more studied by the scientific community because of their antioxidant, repairing and protecting power. Together with other natural active ingredients such as jojoba, grape seed and olive oils, and Shea butter that provide, among others, an extra supply of lipides that are similar to those of the skin with multiple benefits. 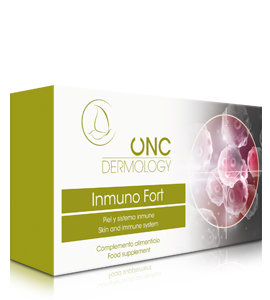 Equally, vitamins E and F, due to their antioxidant, repairing and anti-inflammatory properties, significantly contribute to the intensive action exerted by the ONC DERMOLOGY line products: they moisturise, repair, soften, reduce redness, soothe, help the skin tissue establish in irritating processes, reduce inflammation, develop a powerful vasoprotective action and deeply reinforce both the barrier and the skin natural defence functions. 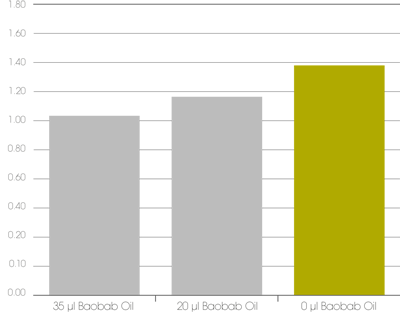 – Highly dehydrated and delipidised (lacking fat). – Desquamated, inflamed and with redness. – With eczema, psoriasis or rosacea. – Undergone to oncological treatments. – With dermatitis: atopic, radiodermatitis, etc. – Exposed to pollution and other adverse environmental factors. 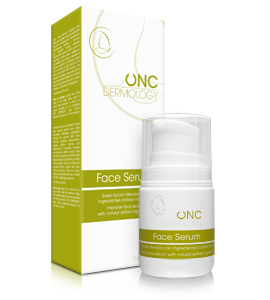 The new line ONC DERMOLOGY allows, besides, preparing the skin before receiving an oncological treatment, and also minimising the negative effects that these aggressive medical treatments have on them. It does not contain colourings, parabens, silicones or mineral oils. With hypoallergenic perfume. IN VITRO STUDY: evaluation of organic baobab oil on arachidonate lipoxygenase 5 expression, inflammatory mediators releaser. IN VIVO STUDY: evaluation of the hydration degree (recovering of the barrier function). – Up to 39% instant increase in hydration. – Up to 51% increase in hydration after 3 days. 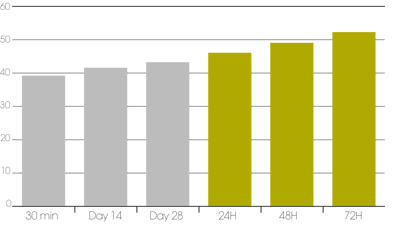 What is the opinion of clients and experts? “I applied the cleansing milk (Face Cleanser) and felt a calm sensation. I did not know that it was necessary to wait for a couple of minutes for the product to act, and I waited out of pleasure”. 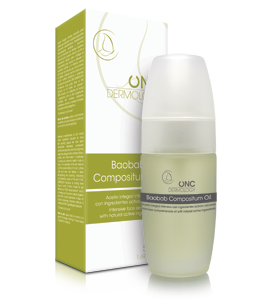 “With the oil (Baobab Compositum Oil) I made the blisters on my hands and feet dry”. “The hand cream (Hand & Foot Cream) has the texture I need right now, it is greasy but my skin absorbs it completely”. “The desquamation appeared on my arm where the chemo was applied, after the first session, disappeared with the body cream (Body Balsam) and it has not appeared again”. “It really has, before, during and after the treatment, very good benefits and very good results”.